Latisse is a product that we use, love and offer at New Image. It is a topical solution that makes even the shortest lashes longer, thicker and darker. Latisse is applied to your eyelash once per day, and within four weeks the results begin to show - with full results at 16 weeks. There is no need for uncomfortable falsies or clumpy mascara. These are your lashes — only better! Why Latisse with New Image? 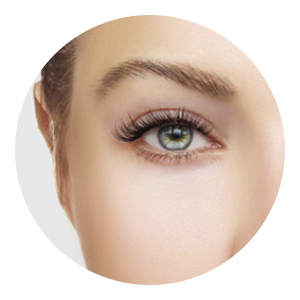 Latisse is offered at many aesthetic practices. At New Image, we know and love this product! In fact, it is one of Roxy’s favorites! We will walk you through the application process and always be available to answer your questions. Absolutely! Our clients have excellent results with Latisse. With continued use, you can experience longer, thicker, darker lashes. 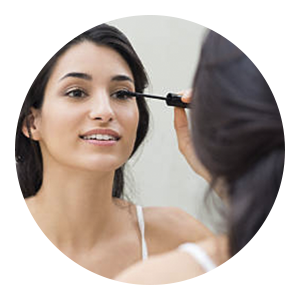 There are potential side effects associated with the use of Latisse. In 4% of clinical trials, the most common side effect is an itching sensation in the eyes and eye redness. Other less common side effects are skin darkening, eye irritation, dryness and redness of the eyelids. Within four short weeks, you will begin to experience results. Full results of longer, darker and thicker lashes are seen at 16 weeks. With continuous use, results will continue. If use of the product is stopped, the results will diminish over time. Can I still use mascara? Yes! There is no reason that mascara cannot be used while using Latisse. Although, many clients feel they no longer need mascara to enhance their eyelashes. Results will only be maintained with the continued use of Latisse. If you stop using Latisse, over the following weeks and months your eyelashes will return to their normal, natural state. 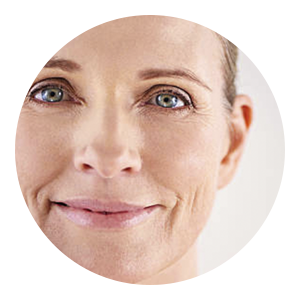 At New Image, we can often offer special pricing for Latisse. If you would like to learn more about our current pricing please [click here]. The staff is extremely knowledgeable and friendly. I love how comfortable the atmosphere is, and my results have been great! Are you interested in learning how New Image can help you feel more confident and beautiful? The first step is to book a consultation.